The U.S. decision to recognize Jerusalem as Israel's capital is dangerous “insolence” meant to legitimize the illegal Israeli occupation of Palestinian lands, according to Muslim Dutch politicians. Speaking to Anadolu Agency, Tunahan Kuzu, the co-founder and head of Netherland's DENK party -- established in 2015 by Turkish-Dutch lawmakers -- warned that U.S. President Donald Trump's controversial decision will cause a huge crisis. "Trump's recognition of Jerusalem as Israel's capital means legitimating Israel's years-long illegitimate occupation," he said. He added: "We were used to Trump's nonsense, but this is more than that, it’s disrespect and insolence." Kuzu said the U.S. decision served to reward Israeli Prime Minister Benjamin Netanyahu, who has presided over unprecedented Israeli settlements being built in occupied Palestinian land. 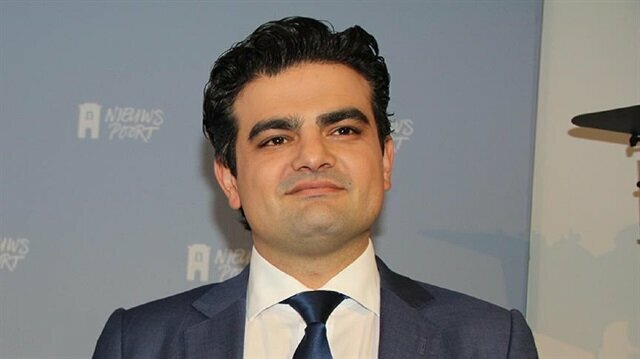 "Netanyahu is being rewarded instead of punished for his increasingly invasive policies of recent years," Kuzu stressed. He said that U.S. should reverse the decision. "This decision and other similar decisions show that we should immediately recognize the Palestinian state," Kuzu said. He added that they will take initiatives in the Dutch parliament for recognition of Palestine. 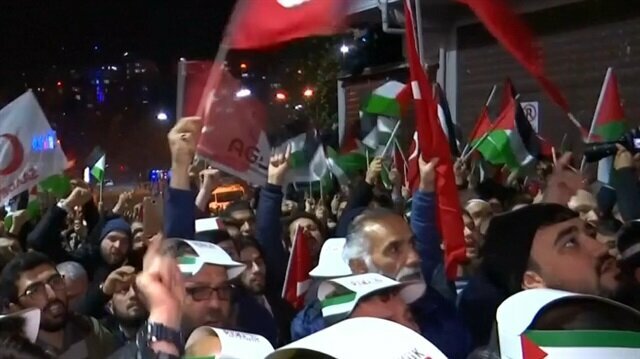 Hundreds of Turks protested in the country's major cities such as Istanbul and Ankara over U.S. President Donald Trump's decision to recognize Jerusalem as the Israeli capital. The protesters condemned the decision and chanted pro-Palestinian slogans. Nourdin El Ouali, who leads the NIDA party, also said that Trump and Israel have once again flouted international law, the UN, Palestinians, and the entire world. "This attitude exacerbates injustice and makes peace more distant," he said. Jerusalem is one of the holiest sites for the world’s three Abrahamic faiths: Judaism, Islam and Christianity. Despite widespread international opposition, Trump on Wednesday announced his decision to recognize Jerusalem as Israel’s capital, and said preparations would begin to move the U.S. Embassy there. The declaration sparked demonstrations in the occupied Palestinian territories as well as Turkey, Egypt, Jordan, Tunisia, Algeria, Iraq, and other majority-Muslim countries. Jerusalem remains at the heart of the Israel-Palestine conflict, with Palestinians hoping that East Jerusalem -- now occupied by Israel -- might eventually serve as the capital of a future Palestinian state. During his presidential campaign last year, Trump repeatedly promised to relocate the embassy and acknowledge Jerusalem as Israel’s capital. Thousands of people in the U.S. city of Chicago marched and protested through downtown on Thursday night, voicing their disagreement with President Donald Trump's decision to recognize Jerusalem as the capital of Israel. The demonstrators gathered in front of the Federal Plaza, carrying the giant Palestinian flag and placards written, "Jerusalem, Red Line", "U.S. and Israel, pull your hand off Jerusalem" and "Trump / Pence regime must go". Israel is planning to build 14,000 new settlement units in Jerusalem, half of which will be built in occupied East Jerusalem, Yoav Galant, Israeli housing and construction minister, said Friday.“In response to the historic decision of President Trump, I decided that new settlements will be constructed in Jerusalem," Israeli daily Maariv quoted Galant as saying in reference to U.S. President Donald Trump’s decision -- announced Wednesday -- to recognize Jerusalem as Israel’s capital.According to the housing minister, 14,000 settlement units will be built in the city, 7,000 of which are to be built in occupied East Jerusalem. Currently, roughly half a million Jewish settlers reside in the West Bank, with another 220,000 in East Jerusalem, both of which have remained under Israeli occupation since 1967. Israel, for its part, hopes to raise the number of West Bank settlers to an even million. 50-year occupation Israel occupied East Jerusalem on June 5, 1967, before unilaterally annexing the entire city as its "undivided and eternal capital" in 1980. At the time, the UN Security Council condemned the move in the "strongest terms", calling on member states to withdraw their diplomatic missions from Jerusalem in line with UNSC Resolution 478 (1980). The same resolution explicitly described East Jerusalem as being “under occupation”. Until now, countries that have relations with Israel maintain diplomatic missions in the city of Tel Aviv. On Wednesday, despite widespread opposition across the Middle East, the U.S. president announced his decision to recognize Jerusalem as Israel’s capital.According to Trump, the U.S. State Department has already begun preparations for the relocation of Washington’s Israel embassy from Tel Aviv to Jerusalem.The dramatic shift in U.S. policy has sparked demonstrations on Thursday in the occupied Palestinian territories, Turkey, Egypt, Jordan, Tunisia, Algeria, Iraq and in some other Muslim countries.Jerusalem remains at the heart of the Israel-Palestine conflict, with Palestinians hoping that East Jerusalem -- now occupied by Israel -- might eventually serve as the capital of a future Palestinian state.During his electoral campaign last year, Trump repeatedly promised to move the U.S. embassy from Tel Aviv to Jerusalem and acknowledge Jerusalem as the Jewish state’s capital.In April, Moscow announced its recognition of West Jerusalem as Israel’s capital, going on to voice hope that the city’s eastern half might eventually come to serve as the Palestinian capital.